When traditional styling and urban country kitchens come together, it’s as if the angels are singing. That may be a bit of an exaggeration, but the two styles do work well together which is probably why they’re so popular today. If your home has a spacious and open floor plan, like many new homes do now, it’s important to make sure your color and design schemes won’t clash so each room transitions evenly. This is something Regan of Regan Baker Design knows all about. All of the above describes the home of today’s featured customer who resides in a beautiful San Francisco Victorian home. Based out of Texas, designer Regan Baker, strives to create a personalized space that suits each of her client’s individualities. An exposed wooden header divides the spaces up while a vintage style stove sets the scene for that industrial farmhouse look we all know and love. The farm chandelier over the dining room table adds a touch of retro glam, but we know you’re secretly admiring the two farmhouse lights over the kitchen island, right? Acting as somewhat of a divider between the living and dining areas, the island becomes a focal point in the space. 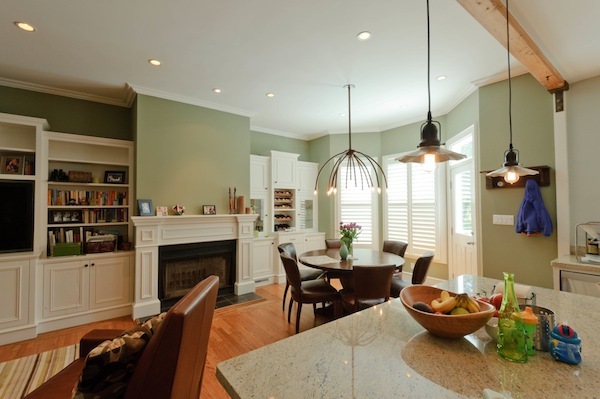 With it being the center of attention, Regan and the homeowner agreed upon two Radial Wave Flute Pendants with decorative Nostalgic Edison Bulbs to complement the urban farmhouse palette. As miniature versions of our larger Radial Wave shades, the Flute Pendant incorporates a classic cup with optional delicate arms and even a little on/off turn key if you wish. 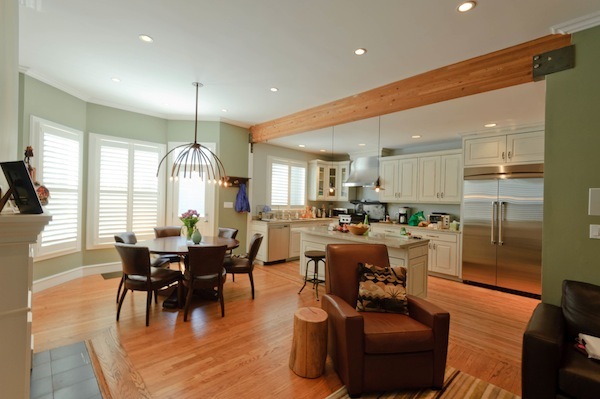 By choosing a galvanized finish for the fluted shade, the homeowner’s ceiling lamps are the epitome of authentic farmhouse style and help to elegantly balance out the open floor plan so no area feels left out. Where can I get these lights? What is the price of the pendant and the chandelier? 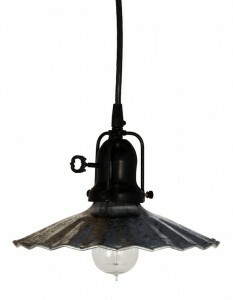 You can check out our complete line of lighting at http://www.barnlightelectric.com which will include current pricing and options. If you have any questions, please contact our friendly and helpful sales staff at sales@barnlightelectric.com or on the phone at 800-407-8784. Thanks for stopping by the blog!